Founded in 1987 and first released in 1999, Bulleit Bourbon is the go-to bourbon for fans who enjoy its signature spicy profile, derived from a distinctive mash bill (grain mixture) with a rye content of 28%, among the highest of any bourbon on the market. Tom Bulleit based his modern bourbon on the 150 year old recipe developed by his great-great-grandfather Augustus Bulleit, who mysteriously disappeared in 1860 while transporting his bourbon from Kentucky to New Orleans. 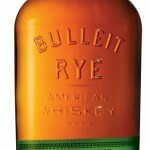 A Bulleit rye whiskey had been in development for seven years, a logical step considering the bourbon’s high rye content. Noting industry and consumer demand for rye whiskey, Tom Bulleit decided the time was right to launch his company’s second release. Bulleit Rye Whiskey made its national debut earlier this month, and it looks poised to garner the same devotion and acclaim as its predecessor. 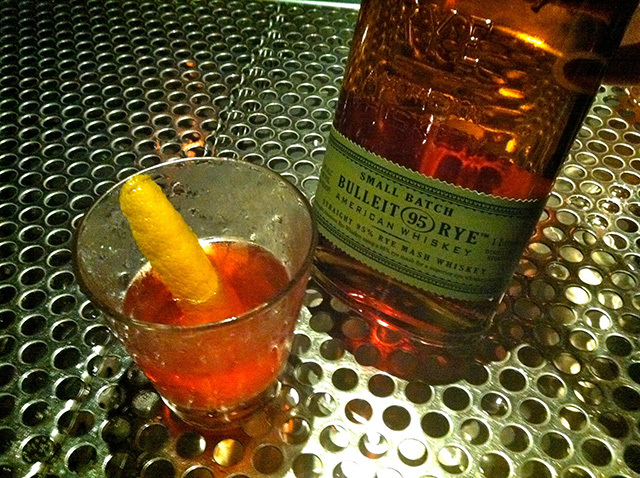 Spurred on by Bostick’s post, I stopped by The Varnish and asked Eric Alperin to make me something with the Bulleit Rye. He mixed a Manhattan variation called the Manhattan Transfer: Bulleit Rye, dry vermouth, Ramazzotti Amaro, and bitters. Needless to say, it was an excellent introduction to the new Bulleit. And as luck would have it, the Booze Fairy had already paid a visit and my 100ml sample was waiting for me at home. The Bulleit Rye Whiskey clocks in at 90 proof (45% ABV) and has a mash bill of 95% rye and 5% malted barley, a mix well above the legal requirement of 51% rye for rye whiskey. 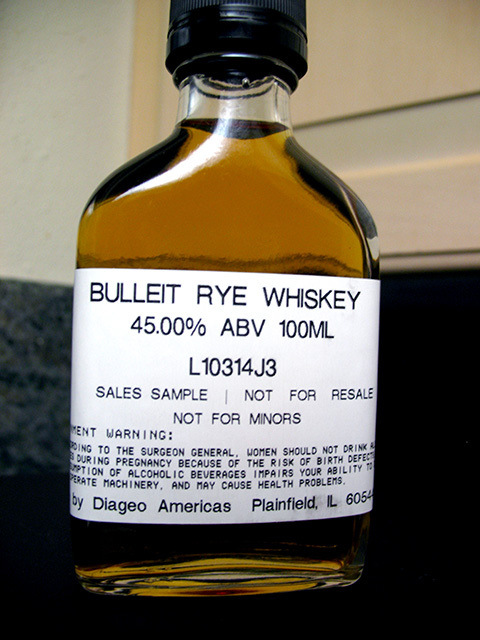 According to the press materials, the grains are sourced from Germany, Sweden and Canada, while the water comes from “an ancient glacier aquifier that maintains an ideal temperature of 56 degrees.” The Bulleit Rye is aged a minimum of four years in new white oak barrels that are charred to level 4 (the highest level). As reported by Chuck Cowdery, Bulleit Rye is produced by Lawrenceburg Distillers Indiana (LDI), a name that should ring a bell for fans of Templeton Rye and Redemption Rye. On the nose, the golden-amber Bulleit Rye begins with cherry, oak and spice, and develops with caramel, honey and white pepper notes. The palate is smoothly balanced and complex, with more of the cherry and oak, as well as sweeter notes of maple syrup and dried fruit. The expected rye spiciness is present, but considering the Bulleit’s mix, not overpowering. The velvety, spicy finish lingers with a subtle warmth that belies its 90-proof heat. 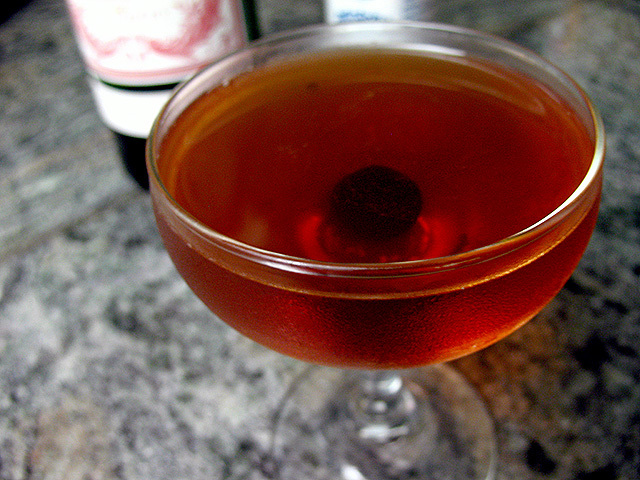 The Bulleit is wonderful sipped neat, so how does it perform in my beloved Manhattan? Two ounces of the Bulleit, stirred with an ounce of Dolin Rouge and a couple of dashes of Angostura, makes for an outstanding Manhattan. I’m definitely looking forward to picking up a bottle (or two) and taking the Bulleit Rye for many more spins around the cocktail block. Speaking of which, as this post goes live the Bulleit Rye is in stock at K&L Hollywood ($21.99), Mel & Rose and Wally’s ($27.99), as well as Hi-Time ($18.99) for our friends in the OC.